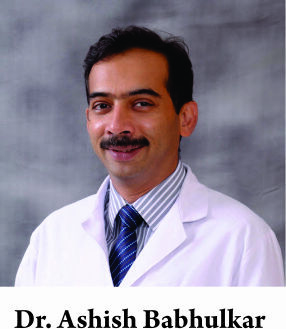 Acta of Shoulder and Elbow Surgery | Volume 1 | Issue 1 | Oct-Dec 2016 | Page 8-13| Ashish Babhulkar. Shoulder & Sports Injury Specialist, Deenanath Mangeshkar Hospital, Pune. Introduction: Non-union proximal Humerus Fractures are complex and the aim of the surgeon should be pain free restoration of function – Functional range of movement & good rotator cuff strength. Pre operative planning in the form of appropriate clinical evaluation, CT scan or other imaging techniques and keeping all options open during surgery is useful. Patients must be counseled about the likely complications since a revision procedure is always fraught with hurdles and obstacles. Careful initial immobilisaiton followed by a supervised structured rehab programme will help the patient achieve a good result. Patients with cartilage damage and OA and in the elderly group may be offered a hemiarthroplasty provided there is no infection and the rotator cuff integrity is maintained. When rotator cuff function is compromised and Surgeon is dealing with a frail elderly patient, a Reverse Shoulder Arthroplasty is probably the surgery of choice , provided Deltoid is unaffected. Keywords: Proximal humerus fracture, nonunion, fixation. Proximal humerus fractures (PHF) are rather common and in the past have led to significant disabilities. The locked plate concept revolutionized early mobilization of PHF reducing incidence of post fracture stiffness. The provision of angle stable plates even within osteoporotic bones curtailed the use of shoulder replacements for complex PHF. With the success of locked plate fixations, conventional plating became redundant but along with it came high incidence of complications [1,2]. Hemiarthroplasty for PHF was also a revolution for the complex fracture dislocations and non-unions. After about 15 yrs of shoulder hemiarthroplasty we are now understanding its limitations in restoring full function . Non-union after ORIF has been reported between 0% – 25% [3,4,5,6]. The challenges of non union PHF range from soft tissue fibrosis involving the rotator cuff, deltoid and short and long head of biceps, stiffness and capsular contractures, osteopenic bone, shortening and varus and perhaps most important – tuberosity displacements. Naturally, prudence lies in offering joint preservation in younger patients with ORIF and bone grafting if necessary. In the presence of split head fractures, late presentation of PHF, even in younger patients, and in the presence of AVN, it may not be possible to offer a joint preservation option. In the same vein elderly patients with non-union PHF are likely to be treated with shoulder hemiarthroplasty but this need not be the norm. The author classifies the elderly into three groups – (A) Less than 60yrs with adequate bone stock and vascularity in proximal humerus – may be offered a revision fixation with a locked plate and bone grafting. (B) The older than 60 yrs with good shoulder function and a healthy rotator cuff – should be offered a shoulder hemiarthroplasty which eliminates the doubt about union rates in elderly and may reduce the time to rehabilitation. A robust tuberosity fixation technique is however critical. The other group of elderly patients (C) above 70 years, frail, poor or absent rotator cuff function , with severe osteopenia have a high rate of complication . The introduction of reverse shoulder arthroplasty (RSA) has changed the outlook for these very elderly patients and provided consistent restoration of function though with its added problems and issues. Absence of signs of union six months after fixation should qualify for a non-union. Lack of bridging or callous across the fracture site at two months could be a sign heralding non-union. Each case is diverse in nature and could fall between the three major groups and should be treated with its individual merit. Absence of infection and neuro-vascular deficit is vital before embarking on any of the above treatment plans. Proximal humerus has a rich anastomosis of blood supply and hence union is usually brisk and predictable. Four-part fracture dislocations are a reflection of the velocity of trauma and the extent of disruption of the surrounding soft tissue. Thus AVN and non-union rates are often high in four–part fracture dislocations. The ascending branch of circumflex humeral artery is vulnerable near the long head of biceps groove – which is often the water shed line of fracture line between the lesser and greater tuberosity. In order to preserve the vascularity of the fractured head of humerus, the Surgeon should dissect carefully near the biceps groove. Even in the presence of four-part PHF a thick vascular posterior capsule is invariably intact and can serve as a source for restoring vascularity. Several factors leading to osteoporosis and poor bone quality can be liable for non-union. Tobacco abuse and extreme alcoholics (extent of osteopenia) are common examples. Amongst the medical causes Hypothyroidism and similar metabolic bone disease, drug abuse and nutritional apathy are contributing factors too. Rheumatoid patients on steroids, Cushing’s disease and medication with steroids, anti epileptic medication are known to lead to osetomalacia and osteoporosis. Not all of these factors can be corrected but identification of these factors is important for prognostication. As an example a hypothyroid elderly lady on anti-epileptic medicine may warrant shoulder hemiarthroplasty rather than a plate fixation. Improper varus fixation with gaps between fracture fragments, or non-anatomical fixation will inevitably lead to non-union. Locked plate is a rigid fixation and if applied non-anatomically is a recipe for failure . The intertubercular groove is fault line and fracture line often passes through it. The long head of biceps can easily be trapped between the fragments preventing effective union. Tuberosities are often best fixed with transosseous sutures rather than screws. In such a situation, post op mobilization (especially rotations) should be deferred as tuberosity migration can be a catastrophic failure, especially in Hemiarthroplasty for PHF . PHF in presence of osteoarthritis can lead to troublesome non-union, especially if conserved, as most of the movement will inevitably occur at fracture site. After a conservative immobilization, a premature rehabilitation can disrupt the stability and lead to non-union. The clinical picture of non-union PHF is uncharacteristic. Many non-union PHF patients are already mobilized and have commenced their ADLS. Pain is seldom a feature of Non union. Also stiffness and inability to reach extreme ranges is a usual feature even after healed Proximal Humerus Fractures. A meticulous examination is desirable prior to planning any intervention. Often patients with non-union present with wasting of muscles especially Deltoid, Supraspinatus & Infraspinatus. If a previous surgery has been performed by a Delto-Pectoral approach, often the anterior deltoid is disproportionately wasted. This could be a result of injury to the branch of axillary nerve to the anterior deltoid. This wasting is permanent and unlikely to reverse. The anterior deltoid powers forward flexion and is an effective padding for the anterior shoulder. Non-union PHF combined with shoulder stiffness is a formidable challenge to overcome. Deltoid wasting as a result of axillary nerve injury should be picked up clinically as it is futile to offer fixation or hemiarthroplasty. It is not infrequent to have normal axillary nerve sensory function in the presence of a Deltoid motor paralysis. The only surgical option in the presence of axillary neuropathy is a shoulder arthrodesis. A EMG will be useful to disprove a neuropathy. The RSA remains as a reliable salvage surgery after complex failures with damage to rotator cuff. It relies primarily on deltoid integrity for its stability. If the deltoid is dysfunctional a RSA is contra indicated. Non-unions are not unusual (31%)  in elderly population and the prevalence of rotator cuff tears in asymptomatic individuals above 70. Hence patients above 70yr with non union should be treated with caution. If there were a co-existing rotator cuff tear a revision plating or hemiarthroplasty would be a counter intuitive. Thus the logic of performing a RSA in most patients above 70yrs age. RSA is preferred in the senior citizen as they may be unable to cope with post op immobilization and the specialist rehab required later. Co-morbid factors such as Parkinson’s, Alzheimer’s, diabetes and imbalance can further compromise results of surgery. Although a RSA is meant for rotator cuff deficient shoulders, when performing a RSA for proximal humerus fractures or non-union, it is mandatory to repair the tuberosities with the same technique described for hemiarthroplasty. The reason for this is dual – a) to enhance soft tissue stability around prosthesis, b) healing of tuberosities will restore rotations and improve over all function of the shoulder . The aim of surgery is to restore anatomy and enhance biology of healing. Careful dissection, minimal disruption of vascularity by minimizing use of cautery and need for bone grafting as a stand by. Since most non-union PHF are complex and revision surgeries, we prefer a pre op CT scan to assess the fracture anatomy, displacements reduction strategies can be simplified to some extent. A 3D reconstruction of CT image is far more preferable and informative than axial CT scans. CT provides limited information about the soft tissue cover, though fatty infiltration of supraspinatus and infraspinatus may be assessed on axial & sagittal sections. A more scientific assessment of rotator cuff integrity and quality can be obtained by MRI or USG. If there are implants in situ a good Musculoskeletal (MSK) sonologist can provide the surgeon better information on rotator cuff status provided there is reasonable passive movement of gleno-humeral joint. Patient should be operated in the beach chair position with the Image intensifier mounted behind the patient and the monitor screen in clear view of the surgeon. Aligning the image intensifier to provide “True AP” and Axial images is a prerequisite before taking the incision. Once the screws in proximal fragment have been inserted a good 360 degree rotation of the arm should allow visualization of the joint surface a “proud” screws can be revised there an then. Only a AP view is never adequate to confirm the anatomical reduction and tip apex distance. As a rule, in revision surgery, almost always use the delto-pectoral approach. This is extensile and familiar to all surgeons. The deltoid split approach10 is favoured by surgeons for primary fixation and may not be a wise choice for revision or PHF non-unions. Scarring from delay and non-union may alter landmarks and perhaps render the neuro-vascular structures vulnerable. Cephalic vein, first structure under the incision may often be absent or scarred or tethered in the scar tissue. In such a scenario, in order to identify the delto-pectoral interval, the surgeon may use individual direction of fibers of deltoid and pectoralis major to identify the interval. The subscapularis is often adherent to conjoined tendon and Deltoid and during the release it is possible that the axillary nerve is in the neighborhood due to the internal rotation contracture of the subscapularis. Subscapularis release not only enhances the exposure but also facilitates later restoration of external rotation. The Long head of biceps (LHB) is sometimes scarred down between the fracture fragments and I would not hesitate to perform a tenotomy followed by a tenodesis at the end of surgery. A scarred, immobile biceps can be a pain generator post operatively. The identification of the long head of biceps also helps delineate the exact boundary of lesser tuberosity (LT) and greater tuberosity (GT). Intra operative swabs for culture sensitivity is a norm and the authors preference is t take at least three swabs form different areas of the wound. Swab for microbiology are more relevant when performing a Hemiarthroplasty or a RSA. In our experience the incidence of infections or positive swabs is higher when revising per cutaneous K-wire failures of PHF. The shoulder joint is peculiar for being infected with propionibacterium acnes (and also coagulase-negative staphylococcus). It is recommended that at least 5 swabs from different areas of the wound be incubated for at least 14 days . Presence of infection during a revision may entail a two-stage revision (Fig 5,6,7,8). However, if the infection is not overt and the swab reports turn up positive post operatively, then inadvertently a single stage revision has been performed. The functional results of single stage revision are far superior than two stage revision. There is a trend toward higher infection rates in revision surgery compared with primary arthroplasty groups. As previously mentioned, the large subacromial dead space, the compromised general health of some patients, and the large surgical dissection, especially in revision cases, may predispose to later infection. However, If prior knowledge of infection of operated case of PHF is available then a two stage revision should be planned with a antibiotic loaded cement spacer to maintain soft tissue balance. (Fig. 5,6,7,8). Irrespective of the nature of fracture or operative plan, the surgeon must keep iliac crest prepared for bone grafting (or have access to synthetic bone graft substitutes) and also keep a prosthesis on the back table, just to avoid any embarrassing last minute intra-operative surprises. If there is any free tuberosity fragment, then at this stage each must be held with a mattress Ethibond #2 or a stronger super suture. It may be ideal to use different coloured sutures for ease of suturing later on. Our choice is a locked plate and its standard procedure of fixation including the first screw as non-locking cortical screw and the calcar screw as the most important element of the locked plate. A fibular cortical strut graft may be of help when the bone is osteoporotic, calcar is missing and the surgeon needs a biological augment to prevent head collapse. Sometimes the radiographs reveal a two-part fracture that can be fixed with a plate. Intra-operatively it may reveal an egg shell humeral head that is severely osteoporotic from within. In such cases a preparation for a fibular graft can be helpful (Fig 3 & 4). A vertical strut graft (can be split in two) is to be passed within the canal and screws should capture the fibular graft as they enter the far cortex. Tuberosity repair, retention and eventual healing is most challenging task. Over the years several techniques have emerged to ensure a robust repair and secure healing of tuberosities. Even then factors such as osteoporotic bone, tiny comminuted fragments and bone loss at tuberosity remain beyond the control of the surgeon. Both tuberosities are subject to shear stresses and are often osteoporotic or wafer thin fragments. Our recommendation for ideal stabilisation of tuberosities is to use a super suture or at least ethibond #5. The sequence of suturing is – 1- GT to humerus, 2- LT to humerus, and 3- GT to LT to close the rotator interval. In addition, the critical suture is the cerclage suture described by Frankel  for Hemiarthroplasty after proximal humerus fractures. The cerclage suture adds another axial plane to consolidate the repair and hold it stable. It is necessary that both the tuberosities heal anatomically to restore good function and rotational control. We use the same principle for RSA for complex PHFs in the elderly. We do not recommend steel wires for tuberosity repair. In addition to the above technique, we also recommend the Nice Knot which is a dynamic self-locking knot and has been proven stronger than the conventional surgical knot in another study which is submitted for publication. Due to diverse configuration of various PHF, it is not possible to ensure bone to bone contact after tuberosity repair always. Often, even if some bone contact is achieved, this is marginal and may not be enough for creeping substitution to occur across the fracture line. On the other hand, some humeral prostheses have a smooth metal stem which is most unlikely to allow tuberosities to heal against the smooth stem. Tuberosity union to Hydroxyapatite to trabecular metal stems has been documented. Our recommendation is to use a fracture specific trauma stem (Fig. 11) that has features to encourage tuberosity adherence, integration leading to eventual union. Salient features of a trauma stem are dense hydroxyapatite coating, honeycomb proximal friction fit and smooth niche at medial calcar to allow smooth passage of cerclage sutures. Stem height in the humeral canal cannot be determined as fracture configurations are diverse. Every effort should be made to replicate the stem insertion height (Often may have to be left proud due to bone loss or distal level of PHF). If the stem has identical markings (Fig.11) as the rasp, then the surgeon can precisely identify the exact depth of insertion of the definitive stem. Hemiarthroplasty in fractures is a distinctly different surgery as compared to hemiarthroplasty for non-traumatic conditions. It is more complex than a conventional hemiarthroplasty and the results are less gratifying . Firstly the typical landmarks such as LHB or GT & LT are often missing or displaced and comminuted. Secondly the neck cut has been taken by nature and hence the depth of insertion is variable depending on site of the fracture line. Thirdly the quality of rotator cuff cannot be established pre operatively due to the existing trauma. Fourthly anatomical version for a given case is impossible to be assessed precisely due to the exploded proximal humerus. As per our cadaveric study of 67 humerii, submitted for publication, maximum variation occurred in humeral version which varied from 20º to 50º (mean 36.85 ±7.72). In addition, often a axillary nerve injury, which is difficult to detect in fresh trauma, may compromise the outcome in few patients. Although most of us prefer an uncemented stem, when the fracture line extends into the metaphysis, it may be necessary to cement the lower half of the stem to provide additional stability. By far stiffness and incompetent rotator cuff are the commonest complications after surgery for non-union PHF. Due to complexity of failed treatment of PHF, revision nature of surgery and lengthy surgical exposure, complications after surgery for non-union PHF are likely to be more common than primary treatment of PHF. However the most frequent issue with internal fixation, especially Locked plates, remains proud screws and these may seriously wear out the cartilage of the glenoid leading to a major issue (Fig 13). Due to tedious nature of surgery, scarring of soft tissues and likely bleeding, Injury to axillary and suprascapular nerve could be sinister and lead to a rather poor residual function of the shoulder. Infection though uncommon may be seen due to difficult dissection, post op haematoma and prolonged surgical exposure. AVN of the humeral head is relatively frequent with the overall rate approaching 35% (reported range: 6–75%). The most important predisposing factors are – length of the metaphyseal beak, integrity of the medial hinge, Anatomic neck fracture. When all three features are present then there is a 97% positive predictive value for AVN. Most patients with AVN are likely to improve to a good to excellent result without interference15,16. Hence, it may be prudent to give a significant rehab trial before an arthroplasty is contemplated. Non-union proximal Humerus Fractures are complex and the aim of the surgeon should be pain free restoration of function – Functional range of movement & good rotator cuff strength. Pre operative planning in the form of appropriate clinical evaluation, CT scan or other imaging techniques and keeping all options open during surgery is useful. Patients must be counseled about the likely complications since a revision procedure is always fraught with hurdles and obstacles. Careful initial immobilisaiton followed by a supervised structured rehab programme will help the patient achieve a good result. Patients with cartilage damage and OA and in the elderly group may be offered a hemiarthroplasty provided there is no infection and the rotator cuff integrity is maintained. When rotator cuff function is compromised and Surgeon is dealing with a frail elderly patient, a Reverse Shoulder Arthroplasty is probably the surgery of choice , provided Deltoid is unaffected. 1 Agudelo J, Schurmann M, Stahel P et al. Analysis of efficacy and failure in proximal Humerus fractures treated with locking plates. J Orthop Trauma 2007;21(10):676-681. 2 Owsley KC, Goryca JT. Fracture Displacement and screw cutout after open reduction and locked plate fixation of proximal Humerus Fractures. J Bone Joint Surg Am 2008;90(2):233-240. 3 Bosch U, Skutek M, Fremerey RW, et al (1998) Outcome after primary and secondary hemiarthroplasty in elderly patients with fractures of the proximal humerus. J Shoulder Elbow Surg; 7(5):479–484. 4 Rose PS, Adams CR, Torchia ME, Jacofsky DJ, Hostad E. Displaced proximal Humerus Fractures: results of conservative treatment. Injury 1992;23(1): 41-43. 5 Schulte LM, Matteini LE, Neviaser RJ. Proximal periarticular locking plates in proximal Humerus Fractures: functional outcomes. J Shoulder Elbow Surg 2011:20(8):1234-40. 6 Sudkamp N, Bayer J, Hepp P et al/ Open Reduction & internal reduction of proximal Humerus Fractures with use of the locking proximal humerus plate. Results of a prospective, multicenter, onservational study. J Bone Joint Surg Am 2009;91(6): 1320-1328. 7 Tempelhof S , Rupp S, Seil R. Age related prevalence of rotator cuff tears in asymptomatic shoulders. J Shoulder Elbow Surg. 1999 Jul-Aug;8(4):296-9. 8 Boileu P, Trojani C, Walch G, Krishnan S, Romeo A, Sinnerton R. Shoulder arthroplasty for the treatment of sequelae of fractures of the proximal Humerus . J Shoulder Elbow Surg 2001;10:299-308. 9 Florian Grubhofer, Karl Wieser, Dominik C. Meyer, Sabrina Catanzaro, Silvan Beeler, Ulf Riede, Christian Gerber. Reverse total shoulder arthroplasty for acute head-splitting, 3- and 4-part fractures of the proximal humerus in the elderly J Shoulder Elbow Surg , 2016 Mar-Apr. 10 Lill H, Hepp P, Rose T, et al (2004) [The angle stable locking proximal- humerus-plate (LPHP) for proximal humeral fractures using a small anterior-lateral-deltoid-splitting-approach – technique and first results.] Zentralbl Chir. ; 129(1):43–48. 11. Athwal GS, Sperling JW, Rispoli DM, Cofield RH.Acute deep infection after surgical fixation of proximal humeral fractures. J Shoulder Elbow Surg. 2007 Jul-Aug;16(4):408-412. 12. Frankle MA1, Ondrovic LE, Markee BA, Harris ML, Lee WE 3rd. Stability of tuberosity reattachment in proximal humeral hemiarthroplasty. J Shoulder Elbow Surg. 2002 Sep-Oct;11(5):413-20. 13. Hill SW, Chapman CR, Adeeb S, Duke K, Bouiane MJ. Biomechanical evaluation of the Nice Knot. Int J Shoulder Surg. 2016:10;15-20. 14. P. Boileau, S.G. Krishnan, L. Tinsi, G. Walch, J.S. Coste, D. Molé. Tuberosity malposition and migration: Reasons for poor outcomes after hemiarthroplasty for displaced fractures of the proximal humerus.Sep-Oct 2002, Vol 11, Issue 5, 401-412. 15. Hertel R, Hempfig A, Stiehler M, Leung M. Predictors of humeral head ischaemia after intracapsular fractures of the proximal humerus. J Shoulder Elbow Surg. 2004; 13: 427-433. 16. Nho SJ, Brophy RH, Barker JU, Cornell CN, MacGillivray JD. Management of proximal humeral fractures based on current literature. J Bone Joint Surg Am. 2007; 89(Suppl 3): 44-58).